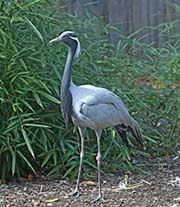 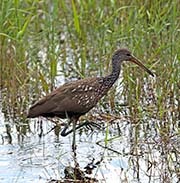 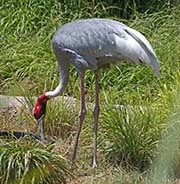 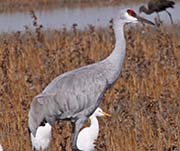 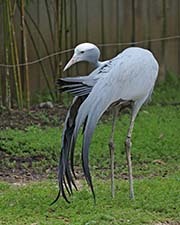 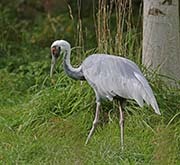 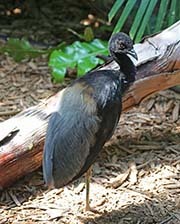 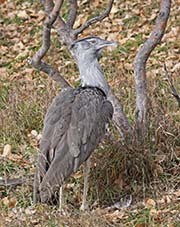 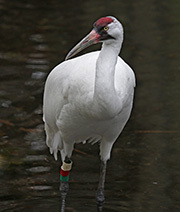 They are fifteen species of Crane in four genera. 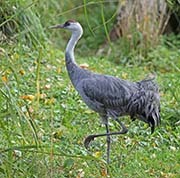 Some facts for cranes are: they are omnivorous, they perform a display that involves dancing, they do not have an alternate plumage (breeding), chicks are precocial and are hatched sequentially, they fly with their neck outstretched, they have long legs, and most have three long toes with the back toe much smaller. 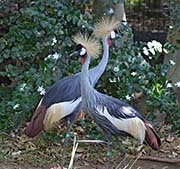 There is some dispute as to the number of species of Crowned Cranes. 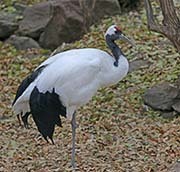 Most agree that there are two species (Black Crowned Crane and the Grey Crowned Crane). 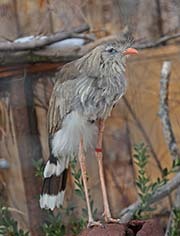 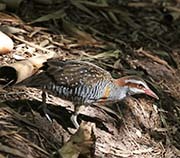 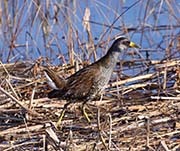 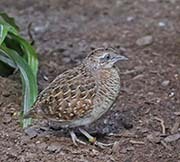 Each of these species has two subspecies.